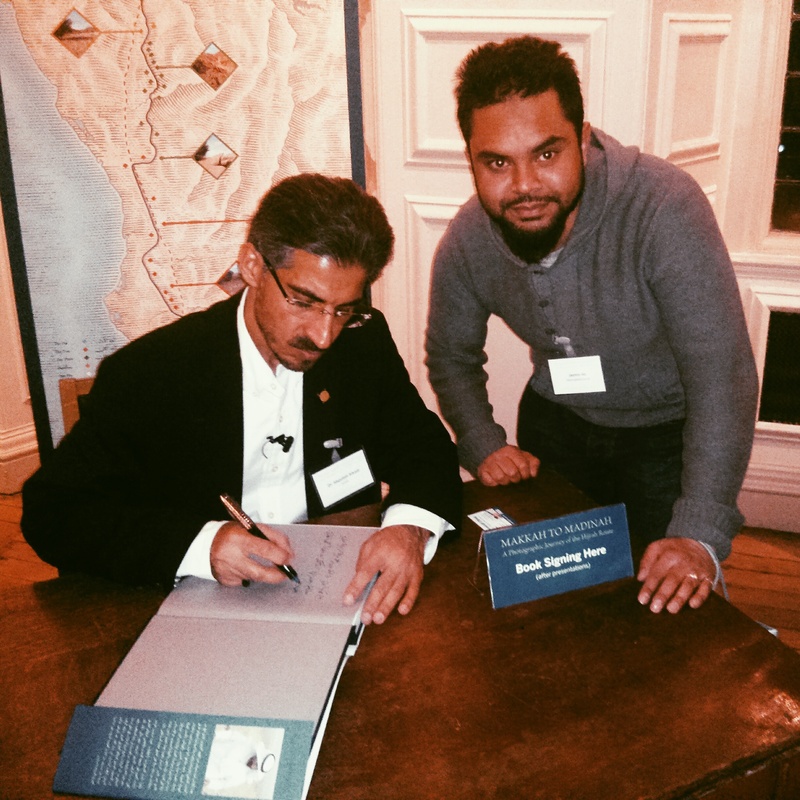 I was privileged to be at the book launch of ‘Makkah to Madinah – A Photographic Journey of the Hijrah Route’ on the evening of Friday 27 March 2015 at the Royal Geographic Society in Kensington. 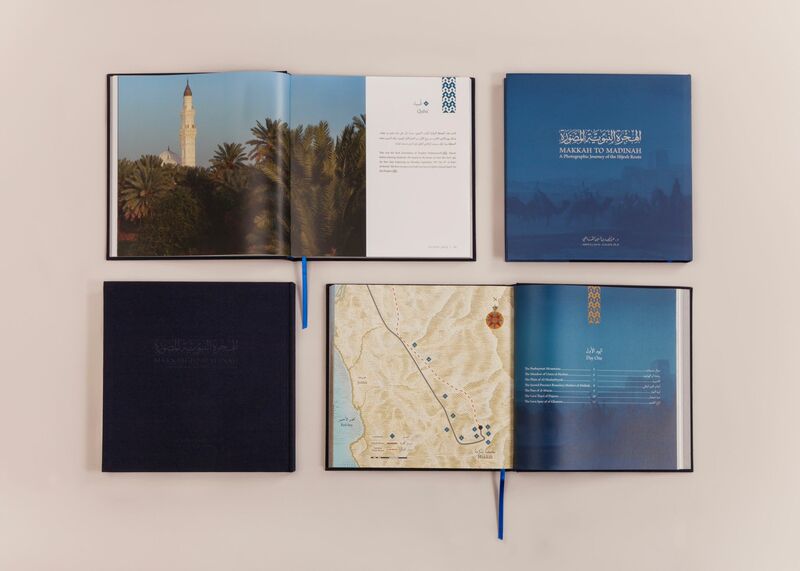 The Photobook by Dr Abdullah Al Kadi documents in great detail the Hijrah Journey that the Prophet, peace and blessings be upon him, took from Makkah to Madinah. 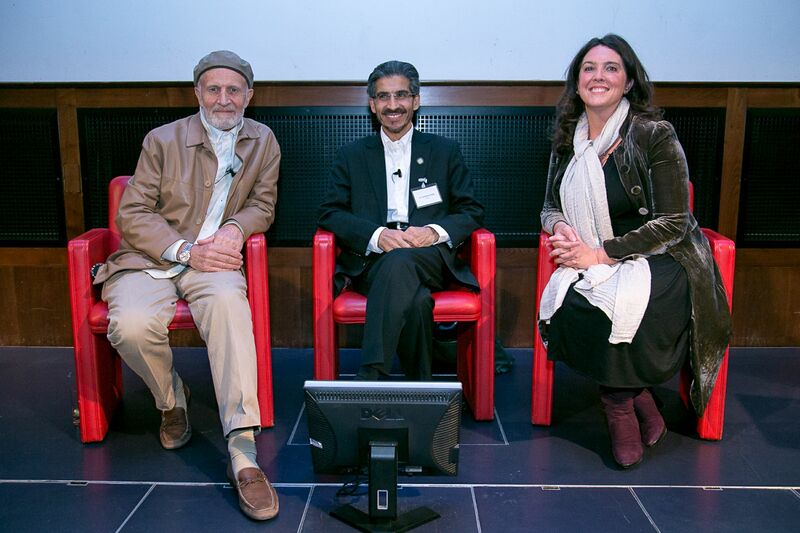 The event was chaired by historian Bettany Hughes with presentations from Dr AlKadi and Photographer Peter Sanders. The evening closed with a reception and book signing with Dr AlKadi. I arrived late at the event due to unforeseen circumstances that afternoon on a return journey from Bognor Regis. As a result I missed a good chunk of Dr AlKadi’s presentation. What I did catch was him documenting through pictures the difficulty he and his team had to endure to find and detail all the places that the Prophet, peace be upon him, and Abu Bakr, may Allah be pleased him, trekked through on their momentous journey from Makkah to Madinah. They uncovered many new milestones that marked the way, reaching some areas that were only accessible by foot, and hand digging various milestones and artefacts from underground. Along the way they uncovered ancient writings on rocks that predate even the Islamic Period in Arabia. 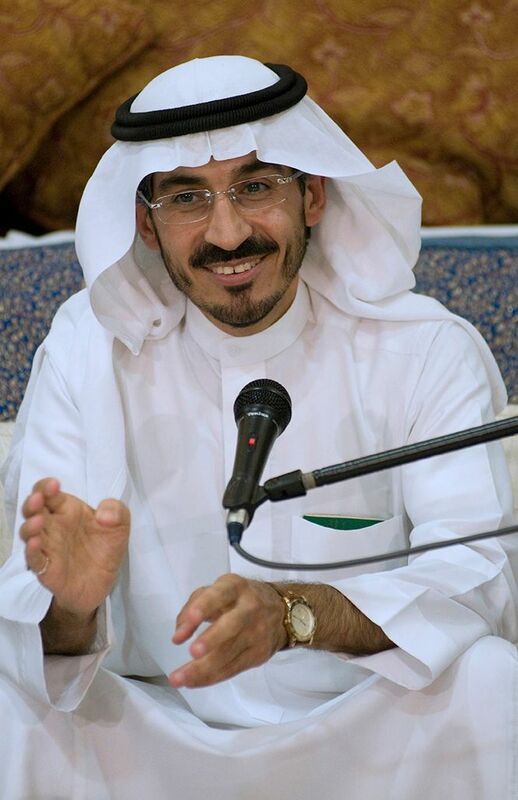 Dr AlKadi has had all of his new findings documented with the relevent Tourism and Archeology department within the Government of Saudi Arabia. After Dr AlKadi Peter Sanders took to the stage. He mirrored what Dr AlKadi had said and stated that in all his years of travelling to and photographing Saudi Arabia and the Islamic Sites, he could not believe that the sites uncovered by Dr AlKadi actually existed. Although he was only on the journey for part of the way he found the whole experience spiritually uplifting knowing that they were walking on the exact same path that the Prophet, peace be upon him, had trodden. Peter also mentioned the sites that were hard to reach and had to be gotten to on foot and commended Dr Al Kadi’s commitment and vigour in completing those journeys on foot. Peter summarised that the landscapes that they visited and saw was like seeing the Artistry of Allah in His creation. After the presentations was a brief Q&A conducted by the chair which was followed by the reception and book signing. I would like to end by thanking brother Masud Ahmed Khan for posting the details of the event on his Facebook feed, without which I would not have known of the event. I would also like to thank Helen Lewis of literallypr.com for extending the invite to me and giving me the opportunity to meet such great personalities from the Islamic World. I do not sell the books. Please contact the publishers direct. Their should be a link in the post.